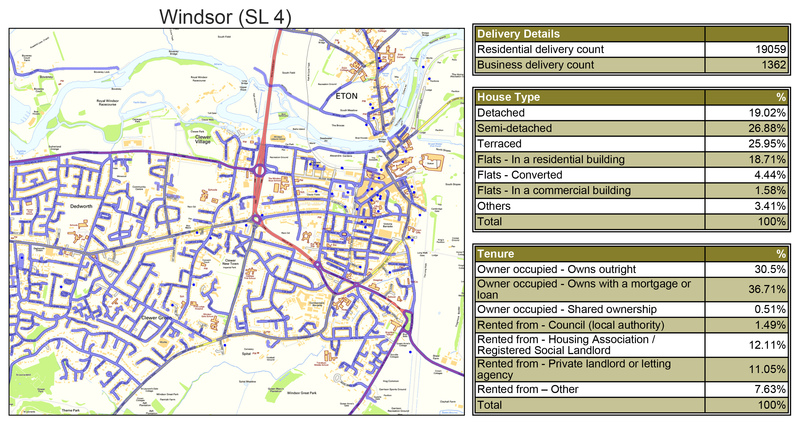 For trustworthy, reliable and affordable GPS tracked leaflet distribution Windsor SL4, Abracadabra Leaflet Distribution can help you achieve new heights with your direct mail distribution campaign. We understand being ahead of the competition is extremely important in today’s market and marketing your product to the right client can be daunting. By providing quality services at competitive prices, we aim to make it a simple and seamless experience for you. We provide design, print and leaflet distribution services, all under one roof. Because we have invested in the latest GPS tracking technology, you have complete peace of mind that all your leaflets have been delivered as the post delivery report gives accurate tracking results for your leaflet delivery. As proud members of the Leaflet Distribution Organisation (LDO), we follow their ethical code of conduct which will help give you added peace of mind. But don’t just take our word for it – see what our clients have to say about us by visiting our testimonials page! We offer amazing discount on our special design, print and distribution packages. Windsor is a town in the Royal Borough of Windsor and Maidenhead in Berkshire, England. It is widely known as the site of Windsor Castle, one of the official residences of the British Royal Family. For your direct marketing campaign, Abracadabra leaflet distribution Windsor can help you cover the town in addition to the neighbouring areas of Ascot, Slough and Maidenhead.